1) Create 2 email addresses. One for your mom, aunt Mary and your fellow litter mates...and then another email address to use solely for any online registrations... blogging... purchases from Pets-R-Purrfic, etc. If you are diligent with this separation, your family and friend email address will be less likely to be infiltrated with spam. 2) Don't post your email address online. 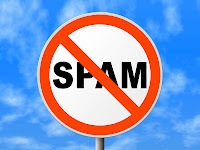 By posting yourname@yourwebsite.com...you are making a spammers job of finding (scraping) email addresses a lot easier. There are programs that "scrape" email addresses from the web. I know, frustrating, right? If you are sending out e-news of any kind, it's recommended to use "email me here" and link your email address to "here." Don't use "email me at yourname@yourwebsite.com" which can easily be scraped! 3) But if you must post your email address online, alter your email address enough that an extracting "scrape" or "spider" can't recognize. The most popular examples are replacing the "@" sign with [at], [AT], (at), (AT), [ at ], ( at ), _at_, _AT_, and/or replacing the "." with [dot], [DOT], (dot), (DOT), [ dot ], ( dot ), _dot_, _DOT_, DOT com, dot com....so, if I was lucky enough to have an email address I would type it out online like this: alphie(at)alphadogmktg(dot)com. 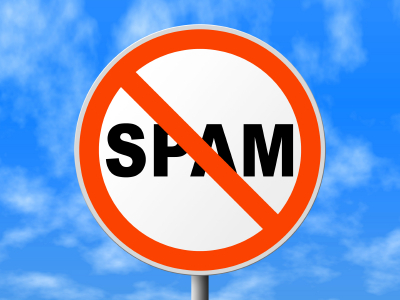 In short, spam isn't going anywhere, but you shouldn't feel the need to be anti-online because of them. Arm yourself with knowledge and best practices and you will be a-ok!